We see lots of kitchen trends, so we know it’s easy to get swept along with what’s in vogue, only to get bummed out by your faddish design choices a few years later. But chances are you’re only going to remodel your current kitchen once. After all, a complete kitchen renovation has a national median cost of $60,000, according to the “2015 Remodeling Impact Report” from the National Association of Realtors®. With that much on the line, you want to make all the right moves. If you do, you could recover about 67% of your investment if you sell. So we’re here to future-proof you from angst by naming the seven definitive kitchen features that will retain their beauty, marketability, and value — all while giving you lasting enjoyment. Bottom line: White is the most marketable color. You’ll always find it atop the National Kitchen and Bath Association’s annual survey of most popular kitchen colors. It simply doesn’t go out of style. • Throughout history, it’s been associated with happiness, purity (think Snow White), and new beginnings. • It’s a bright color that reflects light and makes even small kitchens feel larger. • It’s a neatnik’s dream — dirt has no place to hide. Even better, it’s uber-tolerant of both your budget and taste: A standard color for any manufacturer, you’ll find white cabinets, tile, counters, faucets, sinks, and appliances at any price point. And with a white backdrop, you can be as conservative or expressive as you want. After all, it’s about your enjoyment, not just dollars and cents. • Add your personal touch with colored glass knobs and pulls. • Show off antique Fiesta ware on open shelves or in upper cabinets with glass fronts. • Paint walls the color du jour — even off-white! Heck, with a white palette, you can change your mind about paint color on a whim. Those all-white basics will make any hue you choose look fresh and contemporary. It has been our love for years. That’s especially true ever since hardwood flooring was mass-produced during the Industrial Revolution, making beautiful flooring readily available at a reasonable cost. “It’s the one feature men and women agree on,” says Debe Robinson, NKBA treasurer and owner of Kitchen Expressions Inc. in Sheffield, Ala., who’s also worked in the flooring industry. Why? The love of wood is in our genes. Our nesting instincts know that hardwood has warmth, personality, and makes our homes cozy and inviting. That’s why this clever chameleon pairs well with any kitchen style. • Perfect for open floor plans. It flows beautifully from the kitchen into adjoining rooms. • It’s tough. 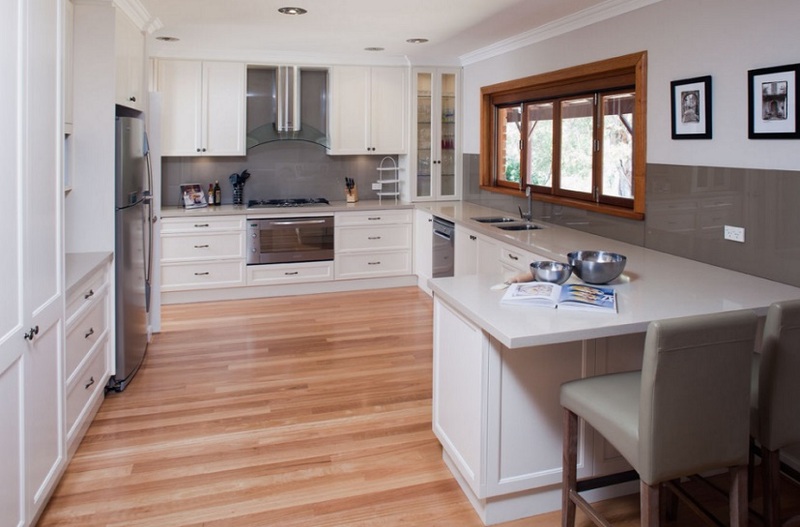 Hardwoods such as oak, ash, and maple will shrug off your kitchen’s high-traffic punishment for years. Solid hardwood flooring can be refinished 10 to 12 times during its typical 100-year lifespan. • It’s eco-friendly. Hardwood is considered a green building material when it’s certified by the Forest Stewardship Council and comes from sustainably managed forests. Thank heaven for the Shakers. While they were busy reducing life to its essentials, they made cabinets with clean, simple lines that will forever be in style. Shaker cabinets are an enduring legacy of American style and, like wood flooring, have the knack for looking good in any setting. Their simple frame-and-panel design helps reduce the amount of busyness in a kitchen, making it a soothing, friendly place to be. Those plain, simple, clean lines are a perfect fit for transitional style — a beautiful combo of traditional and contemporary styles. 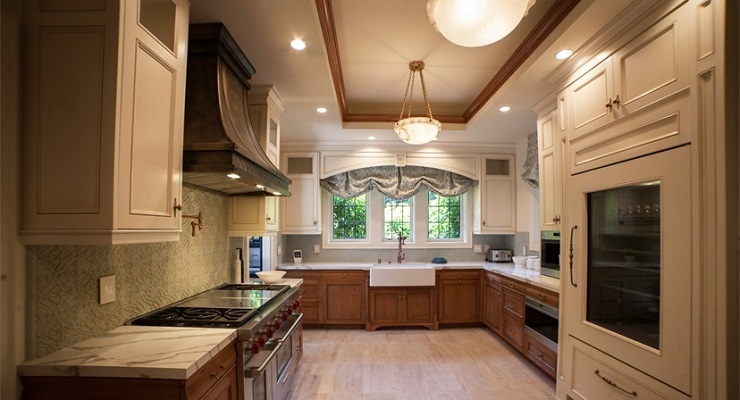 In fact, the National Kitchen and Bath Association says that after creeping up on traditional for years, transitional is now the most popular kitchen style. As our families grow more diverse, transitional style will only get more popular. 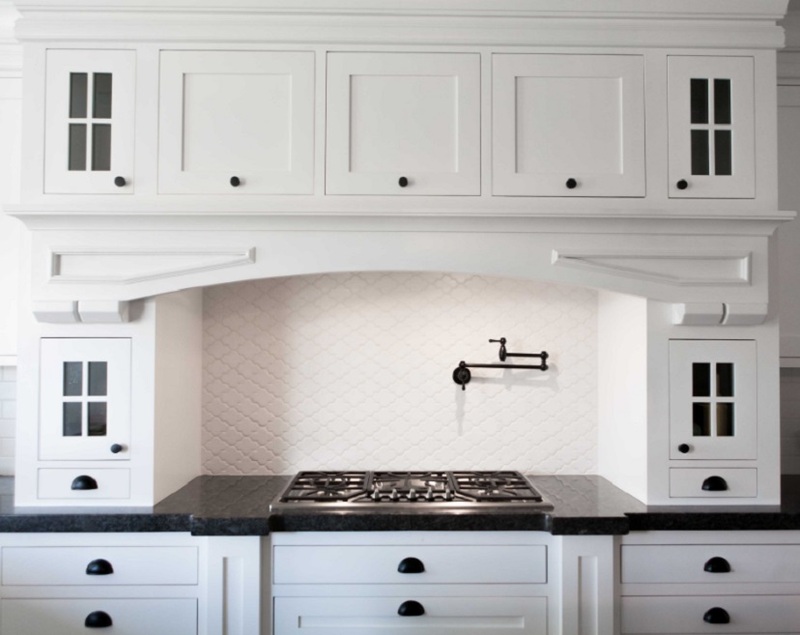 It lets us personalize and blend cultural influences — Latin, Asian, Mideastern — into our homes; it’s the perfect balance of old and new, just like Shaker-style cabinets. 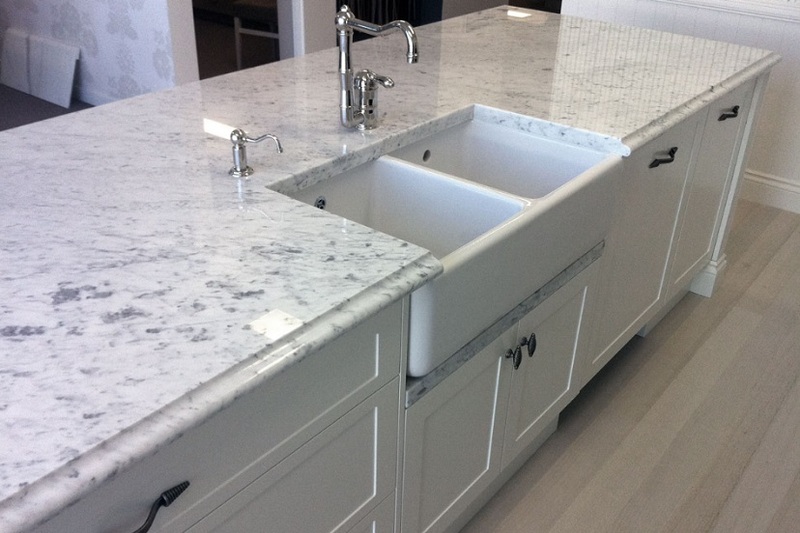 Carrara marble is a timeless classic that’s been used in homes for thousands of years. (Michelangelo’s “David” was carved from Carrara.) It’ll look as good in the next millennium as it does now. • Carrara’s lacy graining and subtle white colors look terrific in a white kitchen (or any kitchen, for that matter). • It has a whiteness you won’t find in other natural stones. 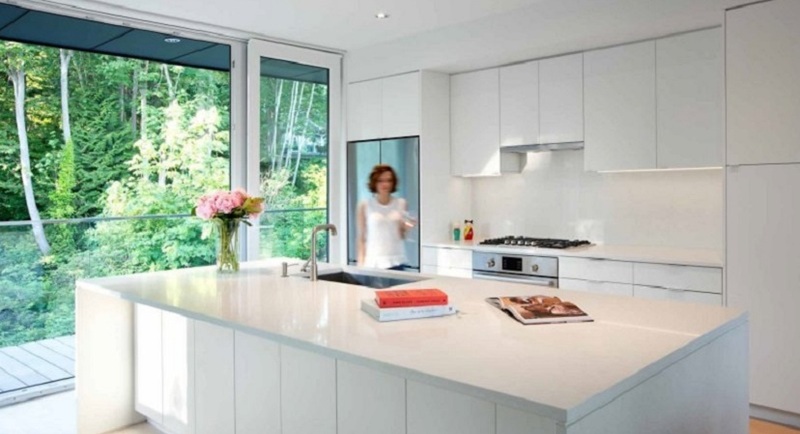 • It’s readily available, making it less expensive than other high-end choices, such as quartz. • It’ll last for generations. If you Google it, you’ll find a lot of debate about it (and marble in general) because it stains easily. But if you want something truly timeless, Carrara is the answer. 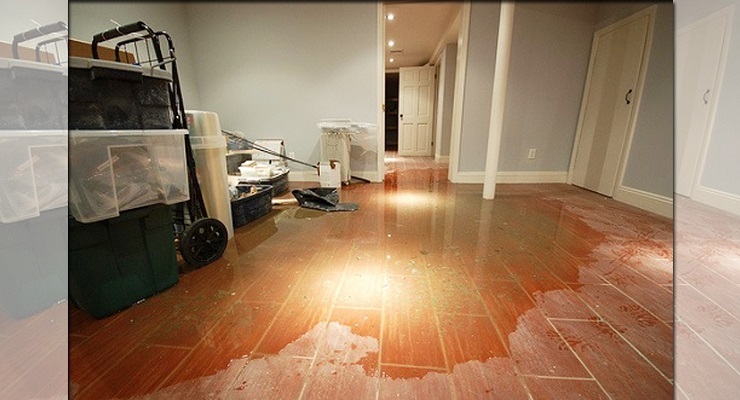 And with today’s sealants, the problem of staining is almost moot if you reseal once or twice a year. Still not sold? Or don’t have the budget? Laminate countertops are relatively inexpensive and can be upgraded to stone when you do have the budget. Subway tile goes back to the early 1900s, when it was used to line New York’s first subway tunnels. 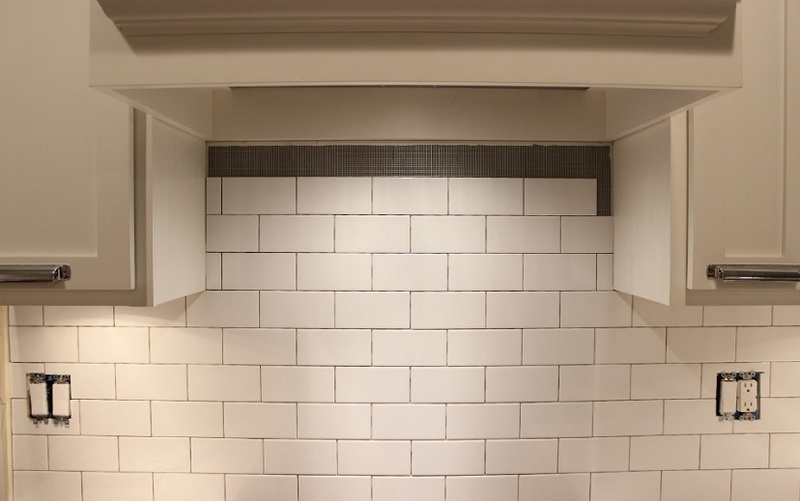 Classic subway tiles are white, 3-inch-by-6-inch rectangles — a look that became popular in American kitchens and baths, and has stuck around ever since. Now it’s an iconic part of the American design vernacular, destined never to go out of style. In the kitchen, ceramic tile excels as a backsplash, where it guards against moisture, is a snap to clean, lasts forever, and always looks classy. Sure, a backsplash can be an opportunity for a blast of color and pattern, but neutrals will always be current and blend with any look. Plus, a subway tile backsplash and a marble countertop make a dashing couple that will stand the test of time. To make it even more enduring, keep it achromatic and camouflage dirt with gray or beige grout. Adaptability and universal design features mean easy living at any age. A recent survey on kitchens from the American Institute of Architects points to the growing popularity of smart ergonomic design, a sign that kitchen adaptability will stay in vogue. 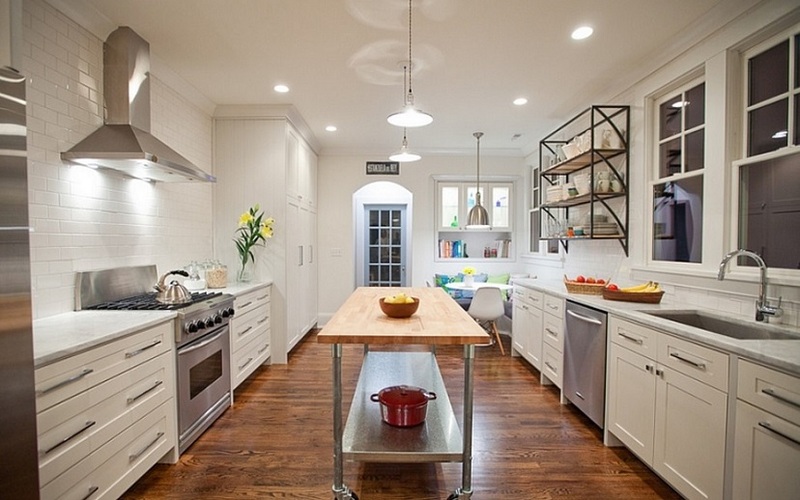 Smart ergonomics simply mean convenience — for young or old, party people or homebodies — a key factor when remodeling a kitchen that will function well, retain its value, and always feel right. • Create different countertop heights. Standard height is 36 inches, but you can raise or lower sections of cabinets by altering the height of the base. Add color-match shim strips to the bases of countertops that don’t include sinks or appliances. You (or a new owner) can easily remove them or add to them to adjust the height. • Swap a standard range for a wall oven and a cooktop. Ranges have fixed heights. There’s no getting around the fact you have to bend to access the oven. But a wall oven conveniently installs about waist-high. • Add pull-out shelves to base cabinets. Lower cabinets with doors mean having to twist like a pretzel to see what’s inside. Pull-out shelves put everything at your fingertips. • Keep wide clearances. Kitchens attract people, and with open floor plans, you’re apt to have folks hunting for snacks, helping you cook, or just hanging out while you prep meals. Keep traffic flowing with a minimum of 42 inches between counters and islands. 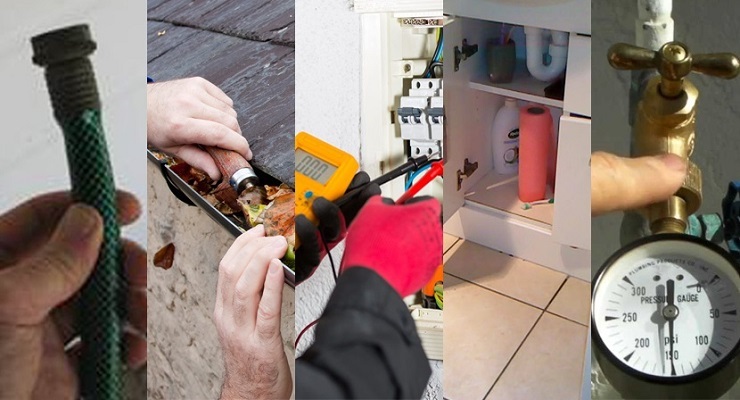 Today’s families store about 47% of their kitchen stuff outside the kitchen — in laundry rooms, basements, even sheds — according to data released at the 2013 Kitchen and Bath Industry Show. We blame it on the fact that kitchens have evolved from a tucked-away place at the back of the house into a multiple-chef, multi-tasking space that’s the hub of family life. Plus, our love of open kitchens and stocking up at warehouse stores means less wall space and more stuff, kitchen design expert Robinson says. The solution: smart storage. Cabinet manufacturers have you covered with nearly unlimited storage options — shelves and compartments that unfold, turn, extend, and slide. Create a primary storage zone. This is an area 30 to 60 inches high and within two feet on either side of your body. Store your most-used items here — your favorite work knives, measuring cups, salt and pepper for cooking, your trusty pots and pans. With one easy motion, you can grab what you use all the time. • A space that can easily convert to an office, wine storage, or a closet. Barbara Richardson King is a highly Awarded Property Specialist who will help you make the best home choices. Visit her office at 388 South Lake Avenue. Call (626) 319-0315 or drop an email at properties@barbara-king.com. Proin eu sapien non tortor mattis auctor ac sit amet justo. Aliquam pellentesque odio quis eleifend aliquet. In id sodales dui. Pellentesque ac est risus. Maecenas ultrices pharetra ante id scelerisque. Donec ultrices sit amet nisl tincidunt suscipit. The Caltech Jazz Band Presents its Guest Artist Concert Featuring Rebeca Mauleon and Joey De Leon Jr. Copyright © Glossy, All Rights Reserved 2016.